Someone is REALLY on vacation over at Brownstoner. 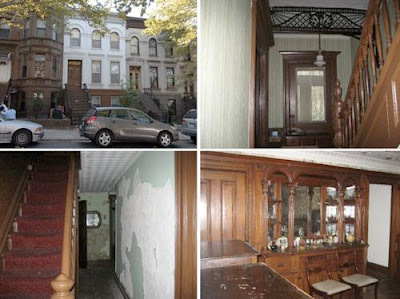 First, a Sunset Park house gets house of the day. Second, a house less than a million gets house of the day. Third, since when is 47th Street Bay Ridge? I mean, okay, a long time ago it WAS called Bay Ridge. But that was many decades ago! It's a great block, a very pretty house, and if it's empty there is probably room to negotiate. Anyone want to go half-way? I might be able to convince my hubby it's worth the TLC needed. Might. Shut the hell up awreddy! Let the yuppies overrun Bay Ridge. Maybe then they'd leave us alone!!! Hahaha. Well, it's primarily a real estate blog, yes? And real estate agents have a habit of blurring distinctions between neighborhoods. There was a time not long ago, if I went by the classifieds (remember classifieds? ), I would think Park Slope and Bay Ridge shared a border somewhere in the 40s.